This chapter is an overview of the papers presented at the Tokyo Conference in August, 1990. No references will be quoted as this text is based on the papers presented in this book. At times the names of individual investigators will be mentioned and appropriate references will be found in the symposium papers. This overview will follow the same sequence of topics as in the agenda of the Tokyo Conference. The fate of mercury in the environment will be followed by a discussion of the disposition of mercury in the body. This, in turn, will be followed by a closely related topic - the biotransformation reactions of mercury in mammalian tissues. The molecular mechanisms of action will then be considered as a prelude to the remainder of the book devoted to the toxic actions of mercury and how these may be modified by selenium. 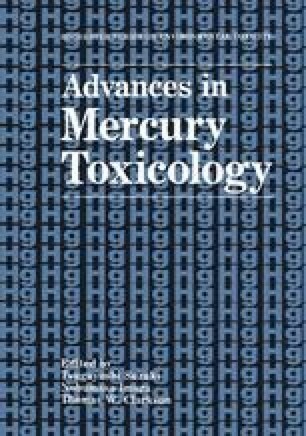 We conclude with a summary of the clinical and epidemiological aspects of mercury toxicity.